Costa Cruises will base a second ship in Miami next winter. The 2,114-passenger Costa Mediterranea will operate seven-day itineraries, joining the 2,260-passenger Costa Luminosa, which will again offer 10-day voyages. The addition of the second ship is a capacity increase of nearly 94 percent for Costa, which last homeported two ships in Miami in 2009. 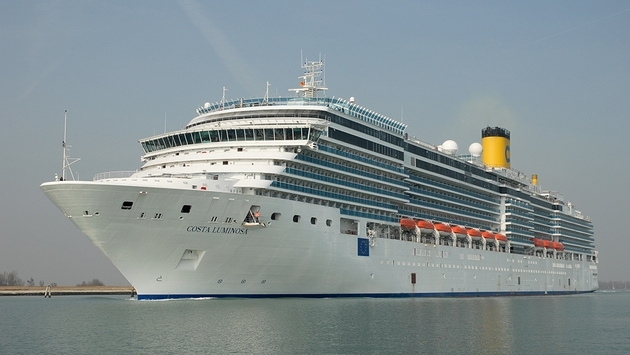 Costa Mediterranea will begin sailing from Miami on Dec. 12, while Costa Luminosa launches the season on Dec. 20. Costa Luminosa alternates 10-day itineraries, calling at Nassau or Freeport, Grand Turk or Princess Cay, Ocho Rios, Grand Cayman, Roatan and Cozumel. Costa Mediterranea’s itineraries will be announced later. “Having two ships sailing out of Miami sends a message that our cruises are a hit with guests seeking an international experience in the Caribbean," said Scott Knutson, vice president of sales and marketing for Costa Cruises North America. The 85,000-ton Costa Mediterranea was built in 2003 and underwent a multimillion-dollar refit in November 2013. The 92,000-ton Costa Luminosa, which debuted in 2009, has four restaurants and 11 bars; 68 percent of its 1,130 cabins have a private balcony, the highest percentage in the Costa fleet. Follow me on Twitter @cruiseapalooza.